Feed it Green are delighted to be supplying a solar PV system. This time for the new command centre for Merseyside Police! We’ll upload a full case study to this website once the work is complete. 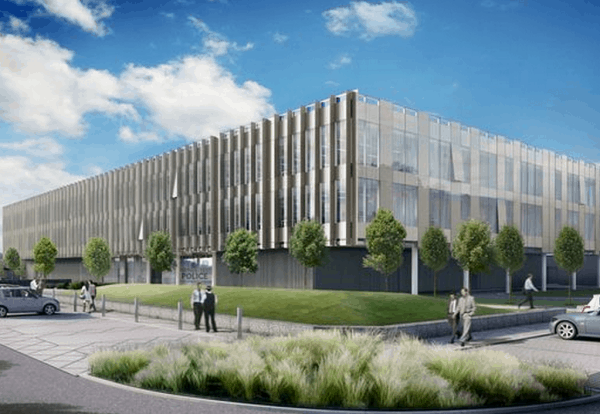 Morgan Sindall is tipped to take the contract to build a £44m operational command centre for Merseyside Police in Speke. The firm is said to have beaten rivals Laing O’Rourke and Wates for the job, according to sources close to the project. This could be the first of a bigger pipeline of work for the force. The planned three-storey building will include changing accommodation, a gym, an armoury and equipment stores on the ground floor, with office accommodation for specialist units on the top two floors. It forms part of a 10-year programme worth £130m to update and improve the force’s buildings, while saving running costs on the estate.